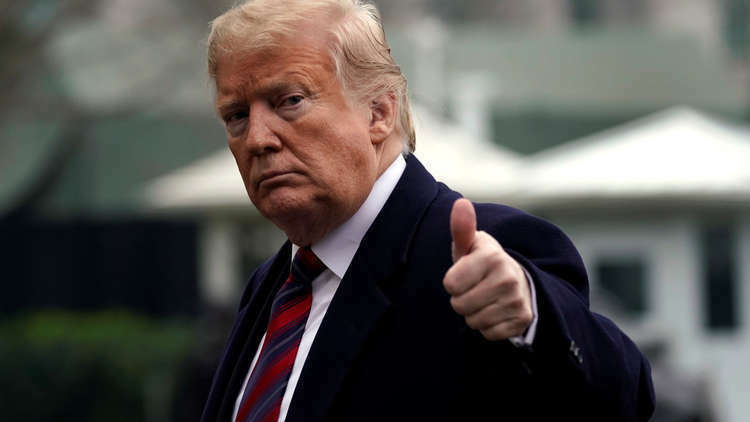 US President Donald Trump on Tuesday vetoed a resolution from Congress directing him to end US support for the Saudi-led war in Yemen. Trump commended his step in statement saying: “This resolution is an unnecessary, dangerous attempt to weaken my constitutional authorities, endangering the lives of American citizens and brave service members, both today and in the future,” . He pointed out that the resolution would “negatively affect our ongoing efforts to prevent civilian casualties and prevent the spread of terrorist organizations such as Al-Qaeda in the Arabian Peninsula and ISIS, and embolden Iran’s malign activities in Yemen,” Trump said, referring to two Sunni Muslim militant groups and his Shiite bete noire. In the first response from the Saudi- led Arab coalition to Support Legitimacy in Yemen, the United Arab Emirates, the main partner of the Saudi-led coalition, welcomed the US veto on Congress's decision to end US involvement in the war. Dr Anwar Gargash, UAE Minister of State for Foreign Affairs tweeted: "President Trump’s assertion of support to the Arab Coalition in Yemen is a positive signal of US resolve towards America’s allies. Common strategic interests are best served with this clear commitment,". This is the second time that the US president has used the presidential veto since taking office. He used it earlier this year against a draft resolution suspending his declaration of emergency and building a wall along the southern border with Mexico.